and exercises as a grand buffet. There are many delicious items but don’t try to eat everything all at once. business or even to do both. done with the first course you can come back. 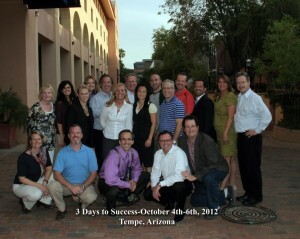 improve profitability, marketing, and many other areas of your life. in my practice profits in less than one year. profits of your core business. area of your of areas of your business/practice and life. and profitability while calming the chaos and turning stress into success. just feel bad and get fat. Rule #2 Be skeptical but friendly and cooperative. with great and diverse experience. and how they boosted their successes and overcame their failures. But don’t assume that just because I say something is true that it is. I may even site loads of science and evidence. and money and gets you better results. So be skeptical. but always be skeptical yet with an open mind. RULE #3 Don’t use skepticism as an excuse for inaction. improve your results, your profits, and your lifestyle. skills and tactics to achieve these results. Act, test, and find out what works specifically for you. skepticism be a crutch or justification for inaction. seemed too hard? Rather than test you just failed to act at all. Are you richer, happier, less stressed from failing to act? Rule #4. You can skip the science. and use the things you learn this program. exercise actually works. But skip that stuff if you want. You’ll get the results you want with or without it. a nuclear power plant produces it? You get the point. You can skip the science. RULE #5 Enjoy the people process and then the results and rewards. room will be full of them. but their failures and how they learn from both. not only your business but your life. lunches, snacks, and break time that we provide. you’ve been looking for until now – or maybe even more. transforming your business into a success that serves rather than imprisons you? and if you have questions before you come ask for a phone conference. I like to make sure it’s a match too. P.S. Have you ever wanted the $1297.00 Persuasion 2 Profit System? attending the event. Ask for Lisa or Tammy when you call. in the TED style format? and master copywriter and persuasion and influence specialist.